Located on the north shore in the most beautiful, peaceful and unspoiled area of St. Croix, this totally private estate is spread over three and a half acres of lush shaded gardens, multi level terraces and historical ruins. Estate Belvedere emerges from an expansive two-year renovation to blend old world elegance with ultra modern conveniences. Attention to detail has been afforded to every aspect of the estate while maintaining the historical features of the original architecture. Originally built in 1791, the sugar mill has been transformed into an extensive three bedroom, four bath, main house featuring a library and fully appointed gourmet kitchen with a fresh herb garden steps away. The surrounding patios are embraced by tropical vegetation, cool breezes and sweeping Caribbean Sea views. The sugar mill further offers a rooftop hideaway for private sunbathing or stargazing. 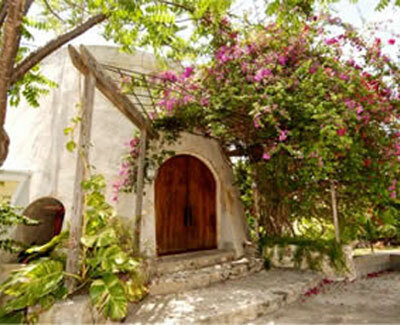 The 300 year old ruins of the original master's home provide a beautiful and picturesque setting for relaxing amid the flowering hibiscus and bougainvillea. Across the well-tended lawn, past the soothing rhythm of the courtyard fountain, is a two-story guesthouse with two complete suites. Each unit has two queen sized beds, a full kitchen and full bath. Estate Belvedere offers one of the largest private pools on the island. The huge and extremely secluded 20 ft by 40 ft pool is surrounded by terraced gardens of abundant tropical flowers and perfectly placed shade trees.